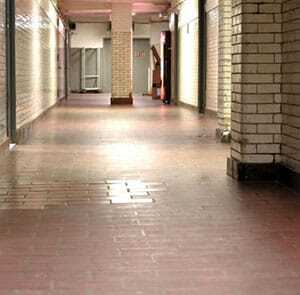 5 What is the Best Dehumidifier for a Basement? It used to be the case that people used their basement as a kind of at-home storage facility. It was the place that all the stuff you seldom use got shifted to and nobody ever ventured down into its depths very often. Because of that, it didn't matter if it was a little damp and the air smelled a bit funny. These days, however, people are increasingly turning their basements into an extension of their living space. They're becoming game rooms, spare bedrooms, or "man caves." As we convert them into living spaces, suddenly things like air quality and humidity matter more. The quickest and easiest way to get rid of the dampness and stale air in that part of your house is with a dehumidifier. We've taken an extensive look at all the major contenders here in our best basement dehumidifier reviews. Our findings are below, along with a quick navigation for readers who prefer that format. 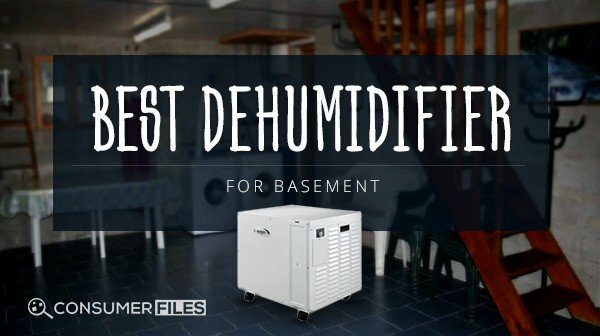 In our quest, we identified several important features that we're on the lookout for and regard as more important than the rest in the best dehumidifier for basement use. These are capacity, portability, and drainage. Where capabilities in these areas are very close, the price also comes into play, as does ease of use and other convenience features. If you or someone in your household has a chronic respiratory condition, mold can be a concern, especially in a high humidity environment. Once mold sets in, it's both challenging and expensive to get rid of. The best bet is to stop the mold before it ever has a chance to grow. If that's your primary goal, then the A﻿﻿prilaire 17﻿﻿10 is your dehumidifier of choice. It is not only capable of extracting up to 90 pints of moisture per day. It also comes outfitted with a built-in condensate pump for continuous, automatic drainage and a MERV-8 filtration system to keep your air fresh and clean. This makes the Aprilaire 1710 one of the most full-featured machines on the market today. Check out this 90-pint Aprilaire 1710 Dehumidifier here. Capacity is a big deal, but concerning the best size dehumidifier for your basement, that's going to be about the size of your space, and the relative humidity where you are. In general, you're looking at an extraction capacity somewhere between 40-90 pints per day, depending on those two factors. The specific models we mention below represent the best dehumidifiers for basement use on the market today, given the parameters we established. With that in mind, let's get started and take a closer look at them. Let's start with the simplest and most immediately accessible metric. If other customers love it, that's a strong indication that it's doing what they need it to do. So, we went in search of the overall best dehumidifier for basements as rated by the customers themselves. In that regard, you won't find a machine that gets the best reviewed dehumidifier for basement as consistently high as the Frigidaire FAD954. A sturdy, capable machine, you'll love the fact that it's made by a brand you know and trust, but also that it's got a great feature set. The biggest thing we liked about it was its impressive 95 pints per day moisture extraction capacity. That's huge and one of the best performers in its weight class. It runs the risk of having more capacity than some users will need, and we couldn't name it as our top pick for this reason. Even so, there's a lot to like about this model in addition to its capacity. While this unit does not have a condensate pump, the fill bucket is easy to access. Also, if you locate the device near a drain, you can avoid having to empty it manually altogether. The unit is on casters, so even though it weighs in at a hefty 80-pounds (empty weight), it's still easy to move from room to room – not that you'll need to! Again, with that kind of daily extraction capacity, you can pretty much let it up in a central location and leave it there. A full featured unit with a good price, it's easy to see why it's a customer favorite. In fact, you'll find that most of the top rated dehumidifiers for basements belong to Frigidaire. Customers simply love them, and with good reason. See more info of Frigidaire FAD954 Dehumidifier... Click here. 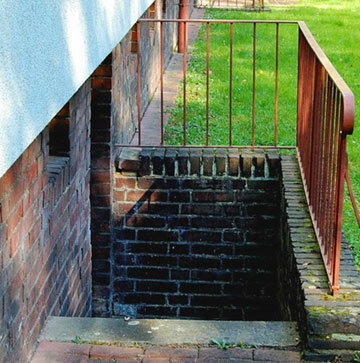 If your basement is in the neighborhood of 1500 square feet, your capacity requirements change. Even if you live in an extremely wet, humid environment, a 90-pint per day capacity unit is just simply going to be a bigger machine than the space you're drying out calls for. In those cases, the device you want is the Friedrich D50 as the best type of dehumidifier for basement. Capable of pulling fifty pints of moisture per day from the air in your basement, it comes with a built-in drain pump so you won't have to empty the fill bucket manually. 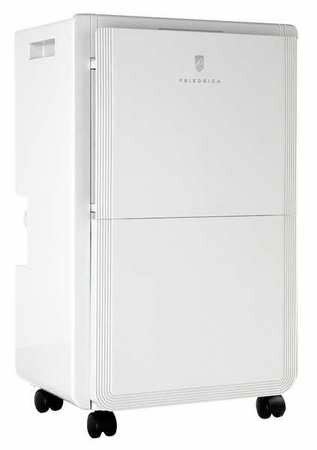 Energy efficient and capable of operating at temperatures as low as 41 degrees (Fahrenheit), the Friedrich is one of the best, most capable dehumidifiers in its class. If you have a medium-sized basement in the 1500 square foot range, you couldn't ask for a better, more capable dehumidifier. Find out more details of Friedrich D50 Dehumidifier here. Whynter makes some of the best cold climate dehumidifiers in the business, but that's not the only thing the company is known for. Finding a dehumidifier in a machine of this size class that has a condensate pump built-in is hard. Finding one that has a built-in condensate pump that doesn't increase the unit's price astronomically is virtually unheard of. Why does a condensate pump matter? While you can technically get by without one, gravity drain systems can be inconvenient, even in the best of times. Of course, it requires that you have a drain nearby to feed the water into. If you don't, then you're left with having to manually empty the fill bucket, which is annoying, to say the least. Combine that with this Whynter RPD-501WP Dehumidifier's impressive 50-pint per day extraction capacity and Energy Star rating, and this is a sure bet. 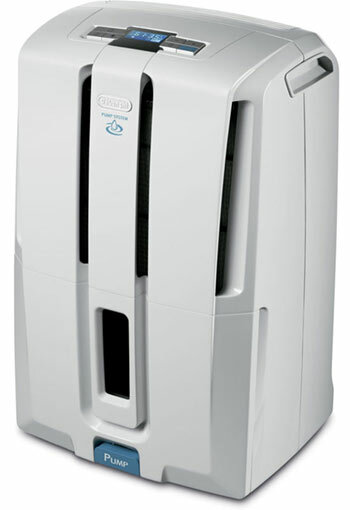 More info of Whynter RPD-501WP Dehumidifier here. One of the most frustrating things about dehumidifiers for small basements is the fill buckets tend to be correspondingly smaller, meaning that you’ve got to empty them more often. It feels like you’re running down to empty the bucket every time you turn around. The rule of thumb is, you just don't find small basement dehumidifiers with built-in condensate pumps. It's just not typically cost effective to put them on smaller machines. There are exceptions, but they tend to be somewhat rare, and that's what makes the DeLonghi DD45 such a great find as the best size dehumidifier for basement. It's literally the smallest dehumidifier we could find that still had the built-in pump and that feature alone makes it best in class when it comes to small basement dehumidifiers. Fortunately, it's a full-featured little unit, capable of extracting an impressive 45 pints of moisture per day from the air. This feature is more than sufficient to handle even the most extreme wet or humid climates in a small basement setting. Add to that the fact that DeLonghi is known for quality and has a stellar reputation among its loyal customer base. It's hard to say no to this one, which is simply the best small basement dehumidifier on the market today. Check out the DeLonghi DD45 Dehumidifier here now. Not only is the Frigidaire brand well known and well respected, but with a daily moisture extraction capacity of 95 pints per day, there are few jobs that this unit can't handle. There's no other non-commercial unit made by any company that can match the Frigidaire in this category. When you combine that with its user-friendly interface and convenient features like the easy access fill bucket, the Frigidaire Fad954 is just unbeatable in this sub-category. 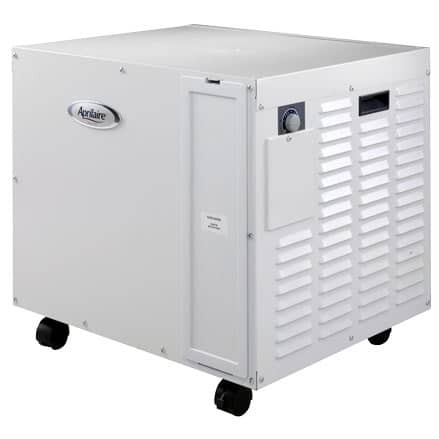 If you've got a large basement with moisture problems, this is the unit you want. The only drawback to it is that it doesn't have a built-in condensate pump. It compensates for the lack of one by having a gravity fed drain port. So, it's entirely possible to use this machine continuously and without the hassle of manually emptying the bucket, meaning the absence of the pump is by no means a deal breaker. 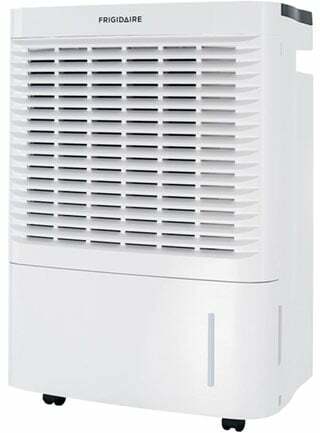 Click here to see price and details of Frigidaire Dehumidifier. Capacity is more important than ever when it comes to commercial dehumidification applications because some of the spaces you'll be called on to work in are vast. There's no such thing as too much capacity in a commercial setting. But of course, this has to be balanced against maintaining the portability of the unit to move it from one job site to the next without requiring a forklift. For that reason, we can't say enough good things about Ideal-Air's 180 pints per day monster as our best commercial basement dehumidifier. Ruggedly constructed, and with two oversized wheels for mobility, this digitally controlled behemoth can make short work of just about any moisture problem you throw at it. Simply roll it in, set it where you want it, install your drain line, set your desired level of humidity, turn it on, and check back in later. The machine takes care of the rest. 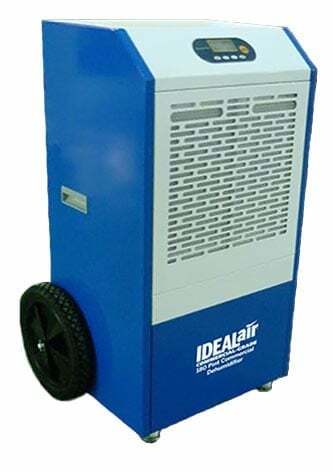 Well-designed and durable, this Ideal-Air dehumidifier will provide you with years of reliable service and is a real workhorse. Find out more about this 180-pint Ideal-Air dehumidifier. Sometimes, either due to the climate you're living in, or the specific conditions in your basement, you need a machine that can operate in extremely humid environments (approaching 100%). The problem is, most basement dehumidifiers are only designed and rated for a maximum of 80% humidity. This is fine for most customers, but there are instances where that operating range just isn't going to cut it. 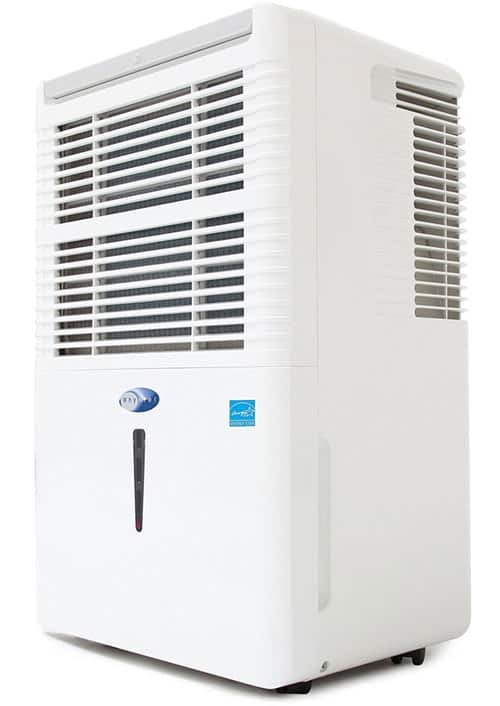 If you happen to fall into that category, then the AprilAire 1710 is exactly the unit you need. It's capable of operating in up to 100% humidity. Also, with its robust 90 pints per day moisture extraction capability, it can handle even big jobs in high humidity environments with ease. That, coupled with the presence of the MERV-8 filters to minimize mold, and the onboard condensate pump makes it the perfect unit for those specific conditions. AprilAire makes durable, long lasting equipment, an important consideration considering how ruinous high humidity environments can be on machinery. Not to worry, though. With the company's excellent reputation for customer service and the five-year warranty the device comes with, you're in good hands and guaranteed years of reliable service from it. More details of Aprilaire 1710 Dehumidifier. Just click here. If you're looking for a best dehumidifiers for basements but don't have a lot of money to spend, look no further than Keystone's offering. It's Energy Star rated, meaning it sips power, is portable, comes with an easy-access fill bucket and a gravity drain system for continuous operation. At just 41.4 pounds, it's highly portable to boot! Add all that to its solid 50-pint per day extraction capacity, and you've got a real workhorse of a machine on the cheap. As you might expect, this unit is a little more basic than its more expensive cousins, but fewer frills don't have to mean less functionality. Where it matters most, the Keystone delivers. It'll keep your basement dry, comfortable and mold-free, and you won't have to spend a fortune to accomplish that goal. 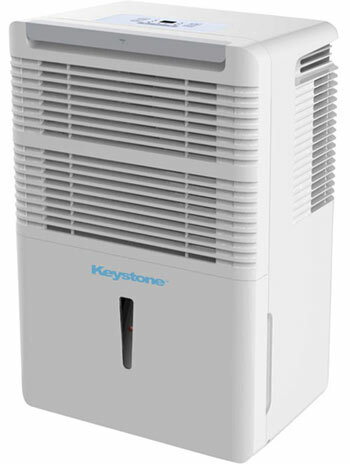 Check out this affordable Keystone dehumidifier here. The particular humidity environment in your basement is going to be, in large part, a function of the humidity in the rest of your house. To get rid of the excess moisture in the air and keep it gone for the long term, you want to minimize the humidity difference between your basement and the r﻿﻿e﻿﻿st of your home. Try to set your dehumidifier to a setting that will come close to mirroring the humidity in the rest of your home. If you have no way of measuring humidity levels in the rest of your house or are just looking for a good "default" setting to gravitate to, then the magic number to remember is 68%. If your basement has a humidity level of 68% or higher, you're in danger of having a mold problem, so keep it below this number. When possible, try to keep it 15-20% below this figure. The recommended basement dehumidifier setting would be 45-50%. Many people are on the fence or uncertain if they even need a basement dehumidifier. There are two telltale signs you need one. First, if you can feel an increased dampness in the air when you move from the ground floor of your home into the basement, you need one. Your skin is an excellent barometer. If you can feel the difference, then there's enough moisture in the air to give you mold problems sooner or later. The second sign to look for is a stale or musty odor. Again, dampness plays a role in the creation of this odor, and if you don’t trust your skin, trust your nose. If you notice either of these things individually, you would be well served to get the best basement dehumidifiers. However, if you see both problems, the case for making the purchase becomes all but overwhelming. Fortunately, all of the dehumidifiers here are "plug and play," so concerning how to use one, it's as simple as plugging the device in and setting your desired level of humidity. The only other detail you'll have to attend to is running a drain line if you don't want to empty your fill bucket manually. In the case of gravity sewers, you just have to make sure to put the unit at a higher elevation than the drain. Also, have enough tubing to get the water from Point A to Point B. In the case of a unit with a condensate pump, you can put your unit anywhere you like concerning the drain. Given the feature parameters we mentioned at the outset, we have to give top honors to the Aprilaire 171﻿﻿0 for the best dehumidifier for basement use. It's got everything you could ask for in a basement dehumidifier. While its capacity may prove to be excessive for some purchasers, the presence of the MERV filtration system and condensate pump give you such a well-rounded and capable machine that it's difficult to make any other recommendation. Whatever your needs are, and whatever features you're looking for in a basement dehumidifier, the AprilAire basement dehumidifier has you. It's excellent whether you're looking for low temperature, high temperature, or a high humidity environment.